There is no shortage of technical SEO tools for agencies. From identifying issues with site speed to crawling and indexing, it’s important to have the right tools in your arsenal to identify any technical issues that may be impacting organic search performance. What follows is a list of essential technical SEO tools that every SEO professional should become familiar with. Screaming Frog is the crawler to have. 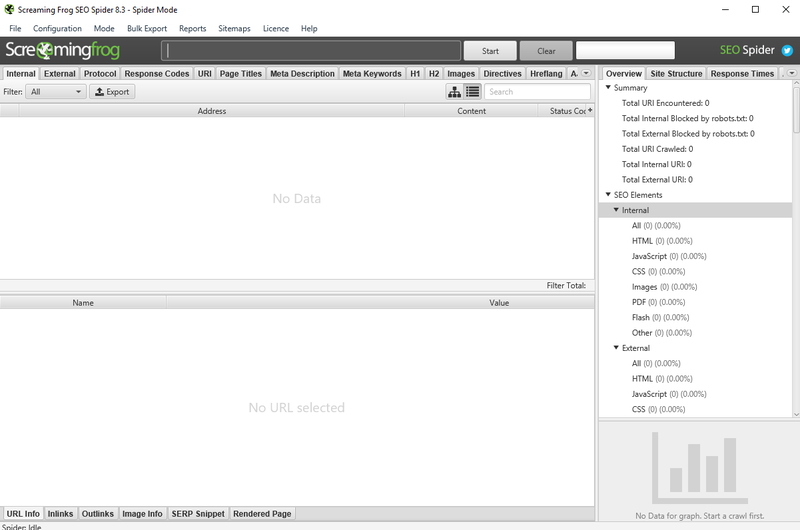 To create a substantial website audit, it is crucial to first perform a website crawl with this tool. Depending on certain settings, it is possible to introduce false positives or errors into an audit that you otherwise would not know about. Diagnosing international SEO implementation issues. Taking a deep dive into a website’s architecture. The primary tool of any SEO should be the Google Search Console. This critical tool has recently been overhauled. The new version replaced many old features while adding more data, features, and reports. What makes this tool great for agencies? Setting up a reporting process. For agencies who do SEO, good reporting is critical. If you have not already set up a reporting process, it is highly recommended that you do so. This process can save you in the case of an issue with website change-overs, when GSC accounts can be wiped out. If it is wiped out, it is possible to then go back to all of your GSC data because you have been saving it for all these months. Agency applications can also include utilizing the API for interfacing with other data usage as well. Where would we be without a solid analytics platform to analyze organic search performance? While free, Google Analytics provides much in the way of information that can help you identify things like penalties, issues with traffic, and anything else that may come your way. 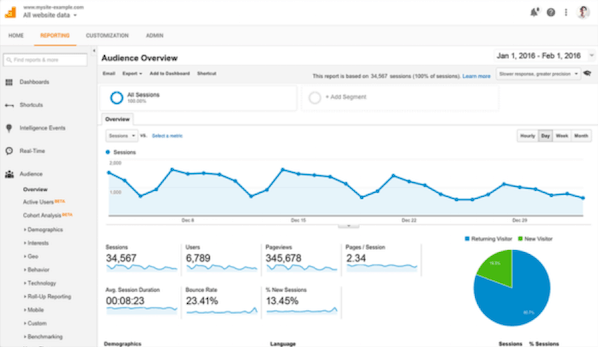 In much the same way as Google Search Console works, if you set up Google Analytics correctly, it would be ideal to have a monthly reporting process in place. This process will help you save data for those situations where something awful happens to the client’s Google Analytics access. At least, you won’t have a situation where you lose all data for your clients. The web developer toolbar extension for Google Chrome can be downloaded here. It is an official port of the Firefox web developer extension. You can also see alt text, find broken images, and view meta tag information and response headers. Page speed has been a hot topic in recent years, and auditing website page speed audits brings you to a plethora of tools that are useful. To that end, WebPagetest is one of those essential SEO tools for your agency. Identifying how long it takes a site to fully load. Document object model (DOM) elements. This is useful for figuring out how a site’s technical elements interact to create the final result, or display time. Through a combination of speed metrics for both desktop and mobile, Google’s PageSpeed Insights is critical for agencies who want to get their website page speed ducks in a row. It should not be used as the be-all, end-all of page metrics testing, but it is a good starting point. Here’s why: PageSpeed Insights does not always use exact page speed. It uses approximations. While you may get one result with Google Page Speed, you may also get different results with other tools. To perform an effective analysis, it is crucial to maintain the mindset that Google’s PageSpeed provides only part of the picture. To get the entire picture of what the website is really doing, it is recommended to use multiple tools for your analysis. For any website audit, determining a website’s mobile technical aspects is also critical. When putting a website through its paces, Google’s Mobile-Friendly Testing toolcan give you insights into a website’s mobile implementation. It helps you test Schema structured data markup against the known data from Schema.org that Google supports. This is a fantastic way to identify issues with your Schema coding before the code is implemented. GTMetrix is a page speed report card that provides a different perspective on page speed. You may not normally think of a code validator like W3C Validator as an SEO tool, but it is important just the same. Be careful! If you don’t know what you are doing, it is easy to misinterpret the results, and actually make things worse. For example: say you are validating code from a site that was developed in XHTML, but the code was ported over to WordPress. Copying and pasting the entire code into WordPress during development does not automatically change its document type. If, while during testing, you run across pages that have thousands of errors across the entire document, that is likely why. A website that was developed in this fashion is more likely to need a complete overhaul with new code, especially if the former code does not exist. SEMrush’s greatest claim to fame is accurate data for keyword research and other technical research. What makes SEMrush so valuable is its competitor analysis data. You may not normally think of SEMrush as a technical analysis tool. However, if you go deep enough into a competitor analysis, the rankings data and market analysis data can reveal surprising information. You can use these insights to better tailor your SEO strategy and gain an edge over your competitors. Ahrefs is considered by many to be a tool that is a critical component of modern technical link analysis. By identifying certain patterns in a website’s link profile, you can figure out what a site is doing for their linking strategy. It is possible to identify anchor text issues that may be impacting a site using its word cloud feature. Also, you can identify the types of links linking back to the site – whether it’s a blog network, a high-risk link profile with many forum and web 2.0 links, or other major issues. Other abilities include the ability to identify when a site’s backlinks started going missing, its linking patterns, and much more. Majestic is a long-standing tool in the SEO industry with unique linking insights. Like Ahrefs, you can identify things like linking patterns by downloading reports of the site’s full link profile. It is also possible to find things like bad neighborhoods, and other domains a website owner owns. Using this bad neighborhood report, it is also possible to diagnose issues with a site’s linking arising out of issues with the site’s website associations. 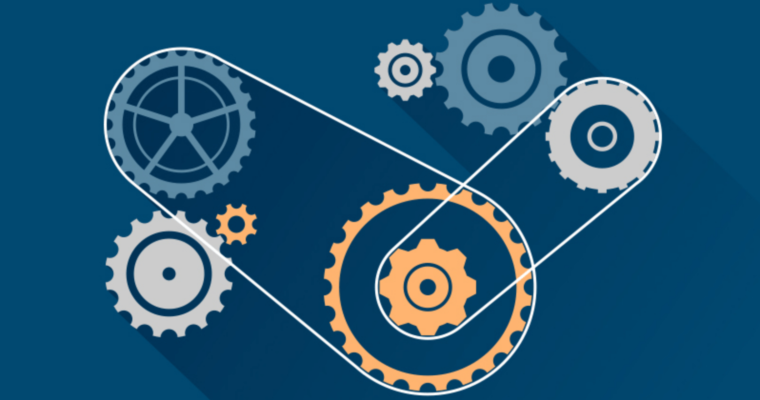 Like most tools, Majestic has its own values for calculating technical link attributes like Trust Flow, Citation Flow, and other linking elements contributing to trust, relevance, and authority. It is also possible through their own link graphs to identify any issues occurring with the link profile over time. Any agency’s workflow will greatly benefit from the inclusion of Majestic into their link diagnosing processes. It is hard to think of something like the MozBar, which lends itself to a little bit of whimsicality, as a serious technical SEO tool. But, there are many metrics that you can gain from detailed analysis. Things like Moz’s Domain Authority and Page Authority, Google Caching status, other code like social open graph coding, and neat things like the page Metas at-a-glance while in the web browser. Without diving deep into a crawl, you can also see other advanced elements like rel=”canonical” tags, page load time, Schema Markup, and even the page’s HTTP status. This is useful for an initial survey of the site before diving deeper into a proper audit, and it can be a good idea to include the findings from this data in an actual audit. If you are investigating a site for a penalty, the Barracuda Panguin tool is something that should be a part of any agency’s workflow. It works by connecting to the Google Analytics account of the site you are investigating. The overlay is intertwined with the GA data, and it will overlay data of when a penalty occurred with your GA data. Using this overlay, it is possible to easily identify situations where potential penalties occurred. Now, it is important to note that there isn’t an exact science to this, and that correlation isn’t always causation. It’s important to investigate all avenues of where data is potentially showing something happening, in order to rule out any potential penalty. Using tools like this can help you zero in on approximations in data events as they occur, which can help for investigative reasons. The Google Search Console XML Sitemap Report is one of those technical SEO tools that should be an important part of any agency’s reporting workflow. Diagnosing sitemap issues is a critical part of any SEO audit, and this technical insight can help you achieve the all-important 1:1 ratio of URLs added to the site and the sitemap being updated. That a sitemap is supposed to contain all 200 OK URLs. No 4xx or 5xx URLs should be showing up in the sitemap. There should be a 1:1 ratio of exact URLs in the sitemap as there are on the site. In other words, the sitemap should not have any orphaned pages that are not showing up in the Screaming Frog crawl. Any parameter-laden URLs should be removed from the sitemap if they are not considered primary pages. There are certain parameters that will cause issues with XML sitemaps validating, so make sure that these parameters are not included in URLs. If you are operating a website for a local business, doing SEO should involve local SEO for a significant portion of its link acquisition efforts. This is where BrightLocal comes in. It is normally not thought of as a technical SEO tool, but its application can help you uncover technical issues with the site’s local SEO profile. For example, it is possible to perform an audit of the site’s local SEO citations with this tool. Then, you can move forward with identifying and submitting your site to the appropriate citations that have not happened yet. It works kind of like Yext in that it has a pre-populated list of potential citations. One of its essential tools that is great to have is that it lets you audit, clean, and build citations to the most common citation sites (and others that are less common). BrightLocal also includes in-depth auditing of your Google My Business presence, including in-depth local SEO audits. If your agency is heavy into local SEO, this is one of those tools that are a no-brainer from a workflow perspective. Whitespark is more in-depth when compared to BrightLocal. Its local citation finder allows you do a deeper dive into your site’s local SEO, by finding where your site is across the competitor space. To that end, it also lets you identify all of your competitor’s local SEO citations. In addition, part of its auditing capabilities allows it to track rankings through detailed reporting focused on distinct Google local positions such as the local pack, local finder, and, as well as detailed organic rankings reports from both Google and Bing. This tool is one of those in-depth tools that comes along once in a great while. For technical SEO, Botify is one of the most complete technical SEO tools available. Its claim to fame includes the ability to reconcile search intent and technical SEO with its in-depth keywords analysis tool. It is possible to tie things like crawl budget and technical SEO elements that map to searcher intent. Not only that, it is possible to identify all the technical SEO factors that are contributing to ranking through its detailed technical analysis. In its detailed reporting, it is also possible to detect changes in how people are searching, regardless of the industry that you are focused on. The powerful part of Botify includes its in-depth reports that are capable of tying data to information that you can really act on. Many SEO pros aren’t aware that Excel can be considered a technical SEO tool. Well, there are a number of Excel super tricks that one can use to perform technical SEO audits. Tasks that would otherwise take a significantly long time manually can be accomplished much faster. With VLOOKUP, it is possible to pull data from multiple sheets based on data that you want to populate in the primary sheet. This function allows one to do things like perform a link analysis using data gathered from different tools. If you gathered linking data from GSC’s “who links to you the most” report, and other data from Ahrefs, and other data from Moz, you know that it is impossible to reconcile all the information together. What if you wanted to determine which internal links are valuable in accordance with a site’s inbound linking strategy? Using this VLOOKUP video, you can combine data from GSC’s report with data from Ahrefs’ report to get the entire picture of what’s happening here. Coding XML Sitemaps manually are a pain, aren’t they? Using a process of coding that is implemented quickly, it is possible to code a sitemap in Excel in a matter of minutes, if you work smart. See the video I created showing this process. Using conditional formatting, it is possible to reconcile long lists of information in Excel. This is useful in many SEO situations where lists of information are compared daily. Want some more Excel tricks? Make sure to read Chapter 10 of this guide: Using Excel for SEO: 5 Essential Tips & Tricks You Might Not Know. For the competitive SEO agency, there is no shortage of SEO tools at your disposal to get the job done. From link monitoring, to reporting, to identifying website technical issues, tools can mean the difference between a lean, mean, and awesome SEO agency and one of the rest.